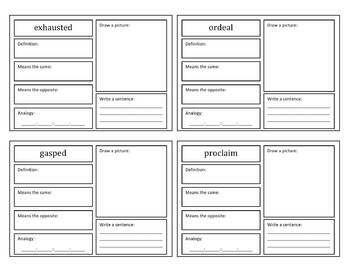 This is a set of vocabulary cards and matching vocabulary tests that cover the novel The Tale of Despereaux. The vocabulary cards and tests are split up into three units. Each unit has fifteen vocabulary cards and a test. The vocabulary cards have an area for the word, definition, synonym, and more! 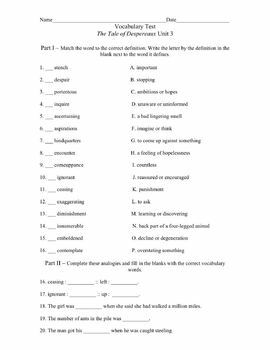 The tests are matching, fill in the blank, and analogies.